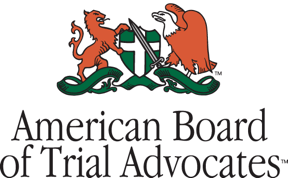 Estate Planning in 2015 is Basis Planning - Ward and Smith, P.A. Avoidance of estate taxes is one consideration in estate planning. Under current law, however, estate tax issues generally affect only the wealthiest 1% of the population, but everyone should be mindful of income tax issues, specifically basis, when making estate planning decisions. Due to changes in the tax laws, estate plans and trusts put in place under prior law may no longer efficiently address these income and tax basis issues. A decade ago, if a middle class couple sought legal counsel for estate planning, one of the first topics of discussion would have been an estate plan to avoid estate taxes. Estate tax was a priority because a couple with assets over $1,500,000.00 could have found a portion of their estates liable for federal estate tax at a rate between 45-47%. With such a hefty estate tax rate on assets over $1,500,000.00, it made sense to focus carefully on estate taxes in the planning process. Fast forward and planning to avoid estate taxes is now much less important for most people. With the passage of the American Taxpayer Relief Act in 2012, the federal estate tax exemption became $5,000,000 per taxpayer, indexed to inflation. This means that as of 2017, each person can transfer $5,490,000 before the estate tax kicks in, and a married couple can shelter double that amount. With this high estate tax exemption, planning to avoid estate taxes has simply become unnecessary for the vast majority of Americans. The favorable change in the estate tax laws, however, does not mean that tax planning should be ignored in the estate planning process. Instead, the new tax laws have shifted the focus from estate tax planning to income tax planning, and specifically to "basis" planning. Ignore basis planning, and you or your heirs may be in for an unpleasant surprise when you dispose of an asset. "Basis" is an important income tax concept used to determine the amount of taxable income that results when you dispose of (e.g. sell) an asset. The amount of taxable income you "realize" is equal to the difference between the value that you receive for the asset minus your basis in the asset. Purchased Assets: For assets that you acquire by purchase, your basis in each asset is your investment in that asset—typically the amount that you paid for the asset when purchased. This is the origin of the term "cost basis" often used when referring to the basis of a purchased asset. Gifts: For assets that you acquire by gift, your basis in the gifted property is generally equal to the donor's basis in the property. Conceptually, the donor's basis is viewed as carrying over to you, and this is the origin of the term "carry over basis" often used when referring to the basis of an asset received by gift. Inherited Assets: For assets that you inherit, your basis in the inherited property is generally reset to the fair market value of the property on the date of the person's death. Any unrealized gains or losses existing at the person's death are effectively wiped out. Accordingly, you could sell the property immediately after inheriting it without any income tax consequences. 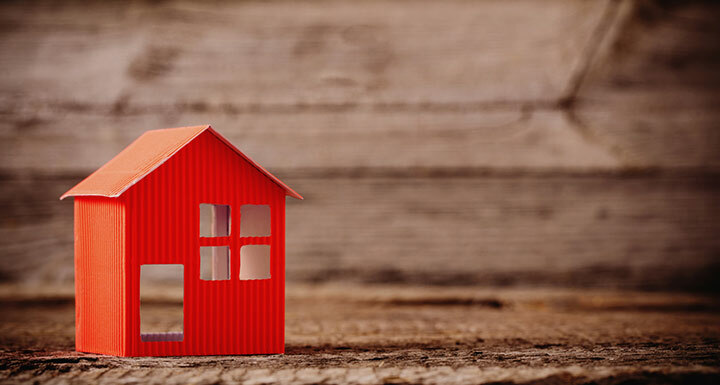 The adjustment to basis for inherited property is commonly referred to as "stepped up basis," but it is important to recognize that under these rules a "stepped down basis" could result if the asset depreciated in value during the period when the person from whom you inherited the asset owned the asset. The greater the difference between the amount that you receive when you dispose of an asset and your basis in the asset, the more taxable income you will realize on the disposition. Thus, effective estate planning should seek to maximize your and your heirs' basis in an asset prior to the date that you anticipate selling the property. Basis planning requires you to examine each asset individually. You should consider the expected future appreciation of each asset as well as the anticipated timeline for disposing of the asset. Also, be aware that the tax rates imposed on income realized when an asset is sold can vary based on the type of the asset. Similarly, the rules for determining your or your heirs' basis in an asset can also vary based on the type of the asset. For these reasons, there is no easy rule of thumb that can be applied uniformly to everyone or every asset when it comes to basis planning. Instead, your individual circumstances must be reviewed asset by asset. If you own an asset that has depreciated in value since you purchased it and you do not anticipate that you will sell the asset during your lifetime, you might consider making a gift of the asset while you are alive in order to preserve a higher basis. Gifting the asset during your lifetime will allow the recipient to take your basis in the asset, and if the asset later appreciates, the recipient could sell it and use your basis in computing the taxable income. In contrast, if you hold the asset until death, and the recipient receives the asset from your estate, the recipient's basis will be limited to the fair market value of the asset at the time of your death. If the asset subsequently appreciates and is sold, the recipient's taxable income will be greater than if you gave the recipient the asset during your lifetime. If you own an asset that has appreciated in value since you purchased it, you might consider holding the asset until death so that your heirs will receive a new "stepped up basis" in the asset upon your death. This "stepped up basis" will allow your heirs to sell the asset immediately without incurring income tax on the sale proceeds. In contrast, if you sell the asset during your lifetime or gift the asset to someone who later sells it, you or the recipient of the gift will realize taxable income. If you hold an asset until your death, your heirs should consider whether or not to obtain an appraisal of the asset (other than cash or marketable securities). The appraisal will document the fair market value of the asset at the time of your death and therefore if the asset is subsequently sold, the appraisal will substantiate your heirs' basis in the asset. Married couples commonly have an estate plan that provides that when the first spouse dies, a trust is established for the surviving spouse. Such trusts, commonly referred to as "credit shelter trusts" or "family trusts," are often structured so that when the surviving spouse subsequently dies the assets in the trust will not be included in the surviving spouse's taxable estate. Prior to the American Taxpayer Relief Act in 2012, when the estate tax exemption amount was relatively modest, these types of trusts often provided great estate tax savings. However, under current law where the estate tax impacts less than 1% of the American population, these trusts often have no impact on estate taxes and instead create the negative consequence of increasing the income tax liability of the trusts and their beneficiaries. This negative income tax consequence occurs because the trust's assets are not includible in the surviving spouse's taxable estate. Thus, the basis of the assets is not adjusted (i.e. "stepped up") upon the surviving spouse's death. Essentially, these trusts prevent the opportunity to avoid income tax on appreciation that occurs between the first and the surviving spouse's deaths. The impact of these trusts on basis and income tax should spur any couple who had estate plans prepared under prior law to reevaluate those plans to ensure avoidance of any income tax problem. If you are already a beneficiary of a credit shelter trust or family trust, you should consider discussing with your advisor whether such trust is properly structured for income tax efficiency, and if not, what opportunities are available to you to remedy the situation. Estate planning is an art that requires adjustments over time. With the recent changes in the federal estate tax laws, the focus of tax planning for most individuals has shifted from the estate tax to the income tax. Anyone who has an estate plan that was prepared under prior law or anyone who is a beneficiary of a trust established under prior law will be well served by reevaluating whether those plans and trusts are still tax efficient. © 2019 Ward and Smith, P.A. For further information regarding the issues described above, please contact Virginia S. Carter or Zachary F. Lamb. This article is not intended to give, and should not be relied upon for, legal advice in any particular circumstance or fact situation. No action should be taken in reliance upon the information contained in this article without obtaining the advice of an attorney. We are your established legal network with offices in Asheville, Greenville, New Bern, Raleigh, and Wilmington, NC. Can I Get Sued Over a Court-Authorized Foreclosure? Avoiding Commercial Lease Disputes – Clearly Reflecting the Intent of the Parties is Key! Does Your Estate Tax Planning Still Make Sense?